Replacing gasoline and diesel with hydrogen is one of the answers to reducing CO2 emissions. The goal of the EU-backed H2ME Project is to help develop this technology. You can fill up your tank in 3 to 5 minutes and then you are on the road again with a range of 400 to 600 kilometres. Today, there are only a few hundred vehicles that run on hydrogen in Europe. Denmark is leading the way. It is the first country in the world equipped with a nationwide network made up of ten hydrogen fueling stations. “Instead of a battery you have what is called a fuel cell, where you have oxygen reacting with hydrogen, creating electricity and water. There is a chemical reaction: the water goes out the tail pipe and that is the only emission,” explains Tejs Laustsen Jensen, CEO of Hydrogen Denmark. 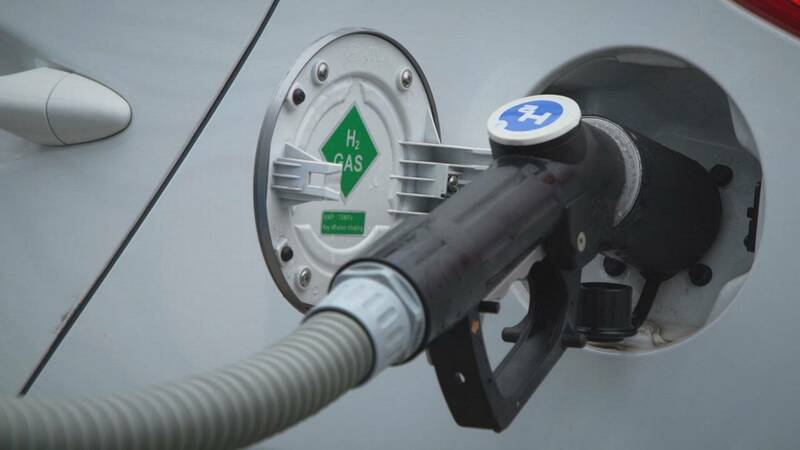 The goal is to boost the number of hydrogen fueling stations across Europe to fifty within two years, and to double the number of hydrogen-fueled cars on the road. There are a number of advantages in using hydrogen over battery-electric vehicles according to their makers. One of the challenges is to produce “clean” hydrogen from renewable sources. The technology already exists. In the city of Sheffield in northern England, this station is equipped with an electrolizer. The wind turbine provides the energy needed to produce on-site hydrogen using water electrolysis. Research is well underway. The aim is to improve the efficiency of electrolyzers, the devices that separate water into hydrogen and oxygen. The hydrogen can then be purified and stored on site. ITM Power is a company that specialises in the manufacture of integrated hydrogen energy systems, and is developing advanced electrolyzers to produce what it calls “clean” hydrogen. “We can make the hydrogen when electricity is in surplus, when the cost is lowest and when it’s greenest. And we can make it anywhere. So we can make it on site at the petrol station, or should I rather say, the refueling station. And that enables us to eliminate the need for tanker delivery of fuel,” says Charles Purkess, business development manager at ITM Power. The challenge is also to bring down the cost. Today, it is much more expensive to buy and run a hydrogen-fueled car than a conventional one. Will hydrogen cars compete with battery-powered cars? Their makers say there is room for both on the road. “The mix of the future vehicle will be between battery and hydrogen, and you can already see that there are battery-hydrogen hybrids on the road, etc… I think we will see all three solutions, but we need to compete first and foremost against the fossil technologies,” concludes Tejs Laustsen Jensen. The ambition being to see hundreds of thousands of hydrogen vehicles on Europe’s roads ten years from now.